1. Cut Punky’s Soft Shells into 1/4 inch or 1/2 inch strips. Place onto a pizza screen or baking pan. Sprinkle powdered sugar, cinnamon or any other desired dry condiments onto strips. Cook for 5-10 minutes until strips are golden brown and crispy. Carefully watch the strips every couple of minutes because they tend to brown easily. 2. Place Punky’s Dessert Strips onto pan or decorative plate. Add strawberry, apple, pumpkin, banana or any other desired dessert fillings. 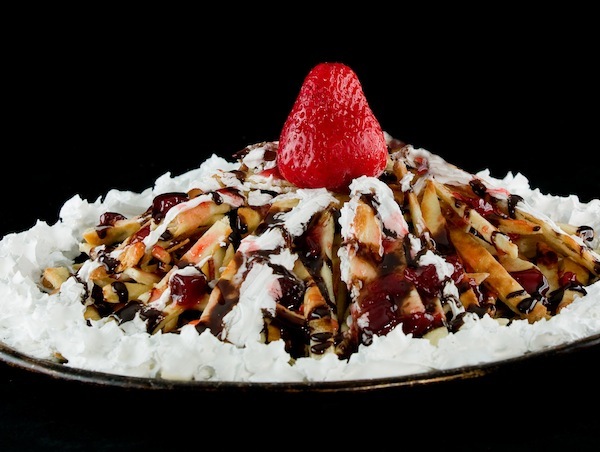 Smother with whipped cream, chocolate, caramel, nuts or flavorings of your choice.